Looking to participate in a sport that requires skill, strength, strategic thinking and the desire to compete individually and as part of a team? Whatever level you compete at, wrestling can enhance your life, improving fitness, strength and coordination. 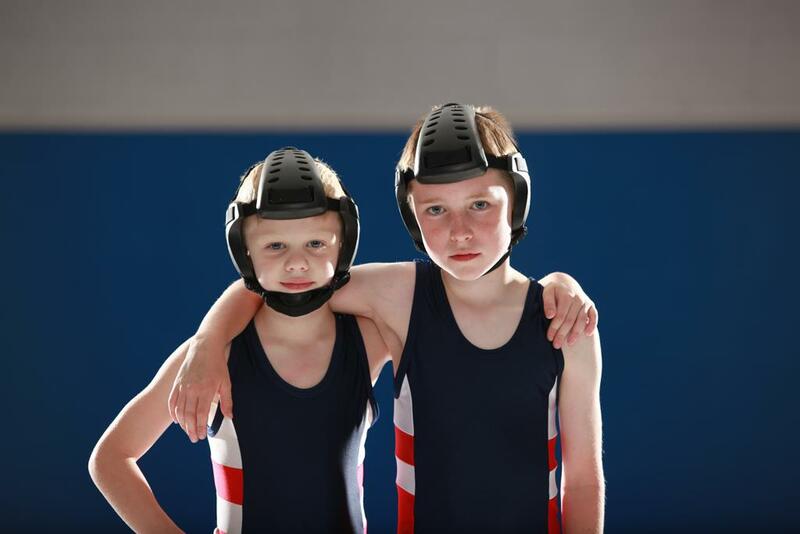 Whether you are looking to participate in our folkstyle program, or participate competitively in freestyle & greco, you'll find our wrestling community to be a great place to learn new skills and meet new friends. Interested in becoming a sponsor of Team Puma San Diego? We strive to be the best by providing supreme graphics, supreme quality, and supreme customer service. We guarantee to beat out our competition by giving you supreme singlets at a reasonable price. Supreme Singlets is about you, the customer. Each and every design will be limited edition. Therefore, it will keep you as a wrestler in an an individual sport, to be able to have a limited edition singlet you will not find anywhere else. So, don’t miss out on our singlets and be the first to own a limited Supreme Singlet! San Diego - Imperial Counties Kids Wrestling Association (SDIKWA) is a 501(c)3 non-profit corporation that was established in April of 1993 to promote the sport of wrestling in the San Diego and Imperial Counties. SDIKWA endeavors to educate the public in wrestling by providing well-planned and safe activities and to improve the overall quality of wrestling in the area. In the context of its specific purpose, SDIKWA organizes and oversees wrestling tournaments and wrestling related events throughout the year. SDIKWA is funded through Member Club dues, tournaments, fundraising events, donations/sponsorships, and similar activities related to the sport of wrestling. California USA Wrestling is the official governing body for amateur freestyle and Greco-Roman wrestling in the Golden State. Here you can find state championship schedules and results, local association events, wrestling books, search our database of wrestling clubs, visit cool wrestling links, see our photo galleries, and more. California USA Wrestling is the National Governing Body for the Sport of Wrestling in the State of California and, as such, is its representative to USA Wrestling. Simply, California USA Wrestling is the central organization that coordinates amateur wrestling programs in the State of California, and works to create interest and participation in these programs. California USA Wrestling has more than 19,000 members. These members include athletes of all ages, coaches, officials, parents and fans striving together to strengthen the sport. Each year, California USA Wrestling charters over 400 wrestling clubs and sanctions over 200 local, state, competitions. ©2019 Team Puma San Diego / SportsEngine. All Rights Reserved.